10:30 a.m.-11 p.m. Monday-Thursday, 10:30 a.m.-11:30 p.m. Friday-Saturday, 11 a.m.-11 p.m. Sunday. 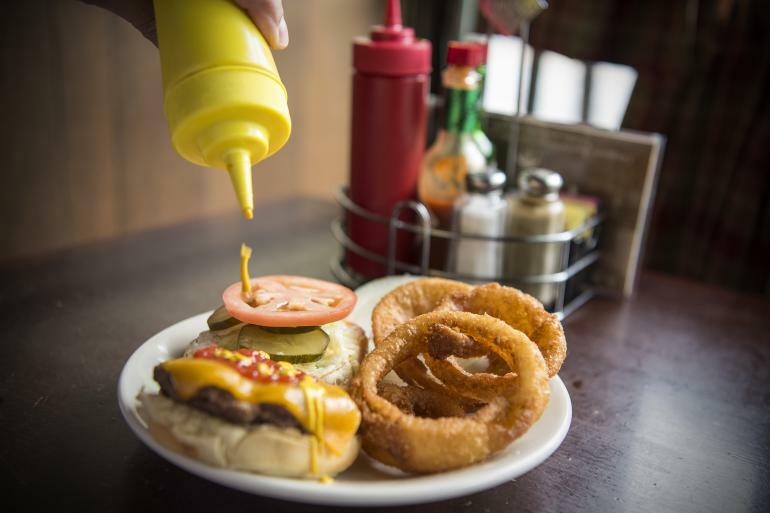 For more than eight decades, burgers have been what Zip's Cafe does best. 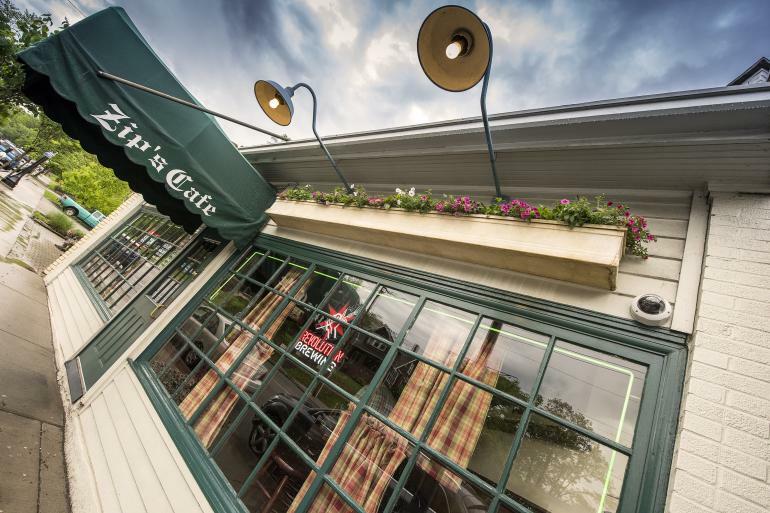 Repeatedly hailed as the best in town, they're made from meat delivered daily from Cincinnati's Bleh-Avril and Sons Inc. Zip's is a genuine, venerable neighborhood bar that caters to a host of personalities, from sports teams to business professionals to families. The small space can feel crowded, but it's casual, comfy and lively - especially in the front room where TV monitors blare, the jukebox roars and the model train circles the ceiling. It's seat yourself and the large communal table lends itself to making new friends. The bar's in the back behind some traditional saloon doors, completing Zip's classic, neighborhood bar feel. It also offers domestic bottles for $3.50 and everything else on tap is only $5. Unique gift shop offering décor, jewelry, candles, and more. Coup D’Etat Vintage Clothing is a unique vintage boutique which specializes in high quality and designer vintage clothing.